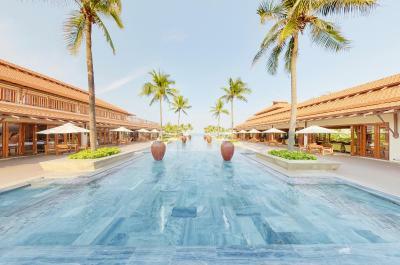 Lock in a great price for Furama Resort Danang – rated 8.6 by recent guests! 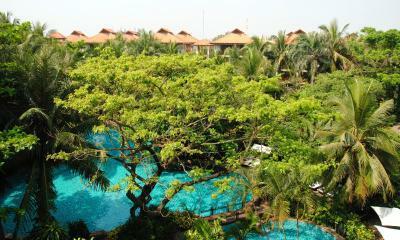 Great resort! Nice swimming pool near the beach (even though we were very unlucky with rain during the entire stay :-( ) and beautiful lagoon pool in the back. 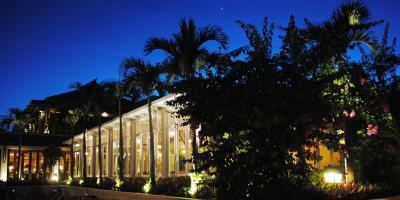 Excellent service (restaurants, cleaning,...) and extremely helpful and friendly staff. 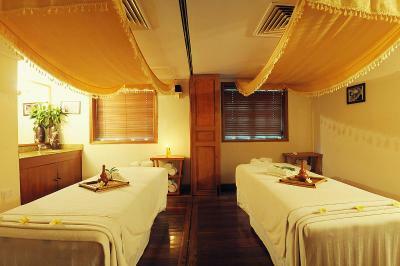 Excellent location and super friendly staff. The rooms and facilities were awesome. I have nothing negative to stay. 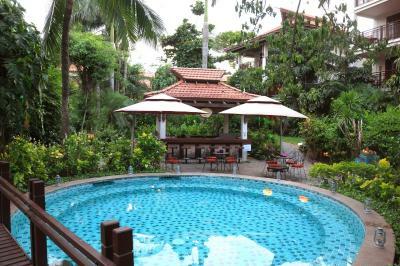 The private beach is amazing, breakfast buffet is huge and the pools perfect for cooling off on a hot day. The check-in process which was personalised and professional. Clean, comfortable. Nice pools. Very helpful staff. Will come back. 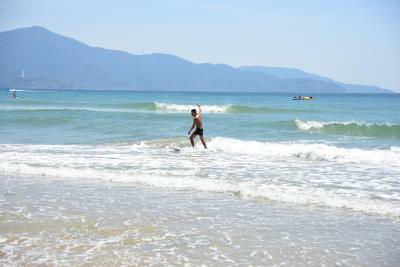 Facility (a bit old but gives vacation mood, one of the best in Danang), sunbed on private beach, Location. The rooms reminds me of being in a tropical location. There are 2 amazing pools. Once makes you feel like you're in a jungle, the other makes you feel like you're at an amazing beach. 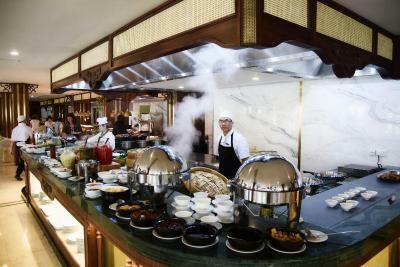 The breakfast buffet had a large assortment to pick from and the food was good. The room was spacious and comfortable. 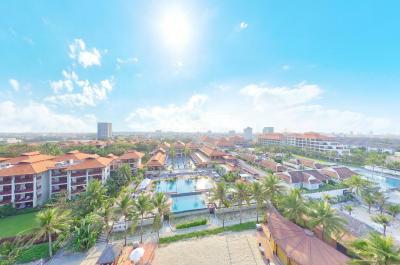 Furama Resort Danang This rating is a reflection of how the property compares to the industry standard when it comes to price, facilities and services available. It's based on a self-evaluation by the property. Use this rating to help choose your stay! One of our top picks in Danang.A luxurious stay at Furama Resort Danang begins your journey to UNESCO-listed sites like Hue Imperial City, located a 2-hour drive from the resort. 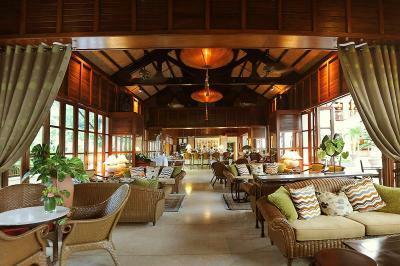 World-class facilities like freshwater pools, a spa, and 4 dining options await guests. 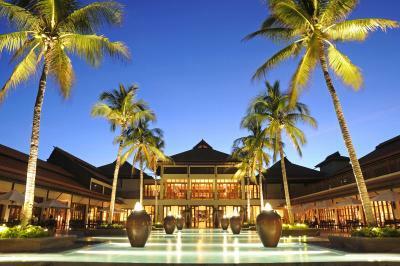 Furama Resort Danang is nestled on Bac My An. It is a 30-minute drive from the ancient "Silk Road" trading port of Hoi An and is less than 2 hours from My Son Holy Land. 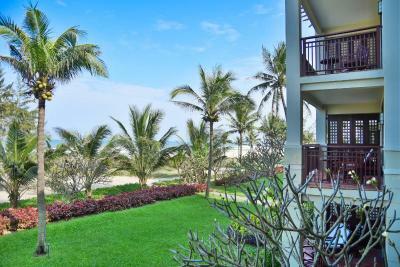 This property also has one of the top-rated locations in Danang! Guests are happier about it compared to other properties in the area. 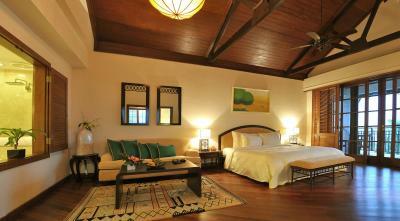 When would you like to stay at Furama Resort Danang? 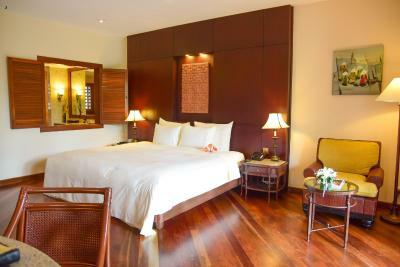 Features elegant furniture, polished timber floor, walk-in closet, ceiling fan, and a marble bathroom with luxury shower. Guests can enjoy the sunset from the spacious balcony or patio. 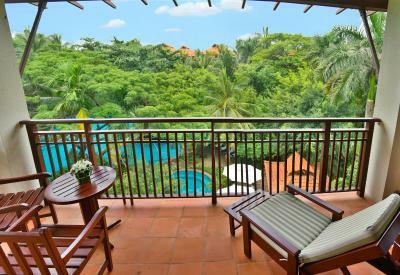 Balcony overlooks the landscaped lagoon and tropical grounds, offering spectacular tropical views. It has timber hardwood floors, a walk-in closet and a spacious bathroom. Large room with free cable/satellite TV with premium channels and separate sitting area. 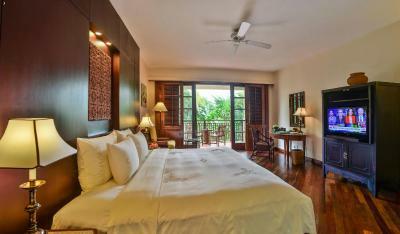 It has a large private balcony and offers views of the beach. The room features an Asian-inspired decor with polished hardwood floors, a walk-in closet and a marble bathroom. 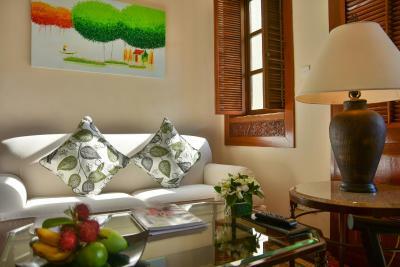 Luxurious suite features a split-level layout and a sitting area with L-shaped sofa. The suite is decorated with beautiful local artifacts. 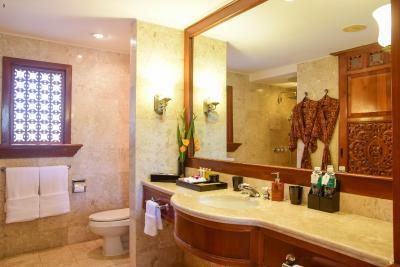 Includes a sitting area with a sofa, and large bathroom with a bathtub and separate shower. Large room with free cable/satellite TV with premium channels and separate sitting area. It has interconnecting rooms. These 2 large rooms connected by a private balcony feature elegant furniture, polished timber floor, walk-in closet, ceiling fan, and a marble bathroom with a luxurious shower. Offering pool views, two-bedroom villa features 2 bathrooms and a private pool. Also includes living and dining areas and a well-equipped kitchen with a stove, mini-bar and microwave. Offering pool views, villa features 3 bedrooms, 3 bathrooms and a private pool. Also includes living and dining areas and a well-equipped kitchen with a stove, mini-bar and microwave. Featuring a private pool, this spacious two-story villa comes with a rooftop terrace, dining area, living room and fully-equipped kitchen. This villa has a balcony, tile/marble floor and seating area. Room rate includes breakfast for 2 guests with a complimentary afternoon tea. 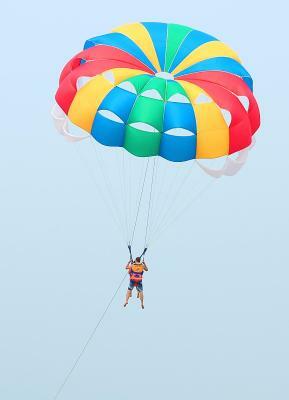 Additional guests are to pay at the resort directly. This air-conditioned one-bedroom villa offers access to a private pool. 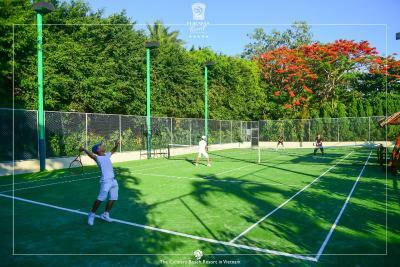 The ground floor consists of the living area, kitchen and dining room, while the master bedroom and a spa room is located on the first floor. There is an extra room on the second floor. Please note that the room rate is inclusive of daily two spa services for 2 guests (excluding date of check-out and departure). Reservation may be required. Please note that the room rate is inclusive of daily four spa services for 4 guests (excluding date of check-out and departure). Reservation may be required. 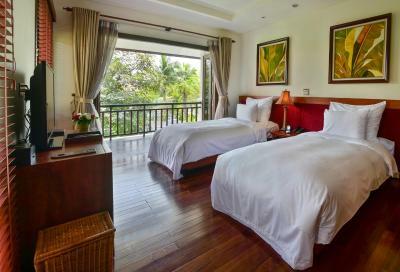 This room features a balcony with garden view, seating area and private bathroom. 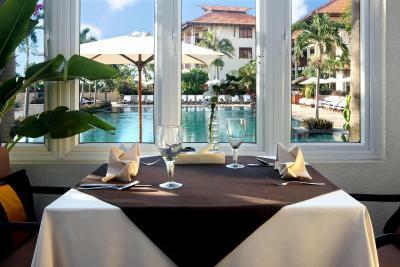 Guests can enjoy one complimentary Set dinner at Danaksara restaurant for a minimum two nights stay for two people. 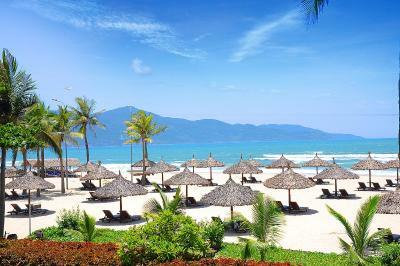 This world class resort, famous for being the culinary resort in Vietnam, set on Danang Beach, is a gateway to three World Heritage Sites of Hoi An, My Son and Hue. 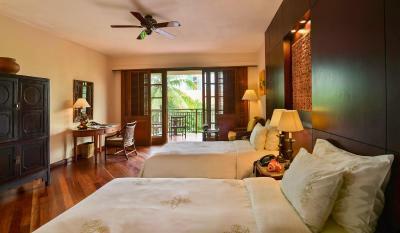 The 198 rooms and suites feature tasteful décor, designed with traditional Vietnamese style and a touch of French colonial architecture. 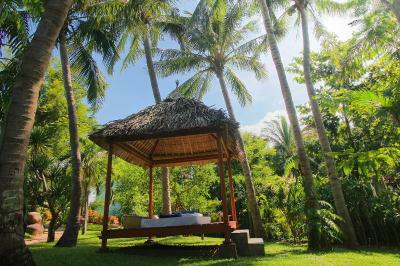 This award-winning resort offers extensive diving spots just off one of the world’s most luxurious beaches as well as many other water sports. The signature Café Indochine, Don Cipriani’s Italian restaurant, The Fan beach-front steak house, Hai Van Lounge, open-air bars and poolside restaurants make the resort a warm and cozy, distinctly chic drinking and dining destination. 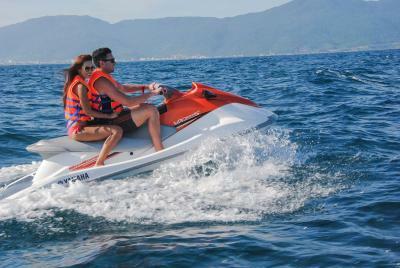 House Rules Furama Resort Danang takes special requests – add in the next step! 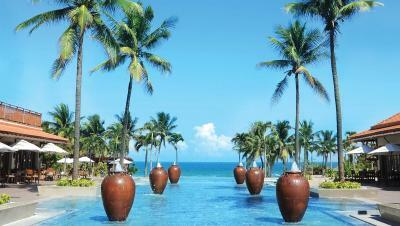 Furama Resort Danang accepts these cards and reserves the right to temporarily hold an amount prior to arrival. The Fan features free entry to 3 nights of Champa Dance Performances every Tuesday, Thursday and Saturday at 7:30 pm.